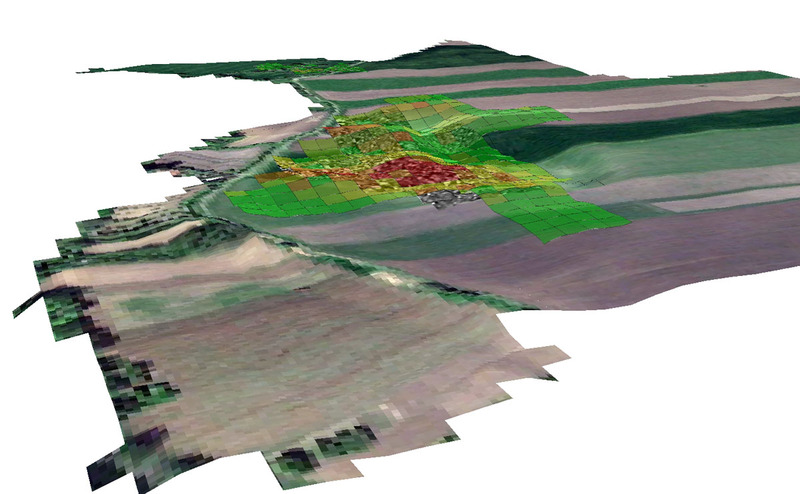 The strength of combining remote sensing (magnetometry, soil conductivity) and non-intrusive field techniques (surface collection, soil cores) lies in overlaying the data with excavation contexts and building models based on correspondences in the data. 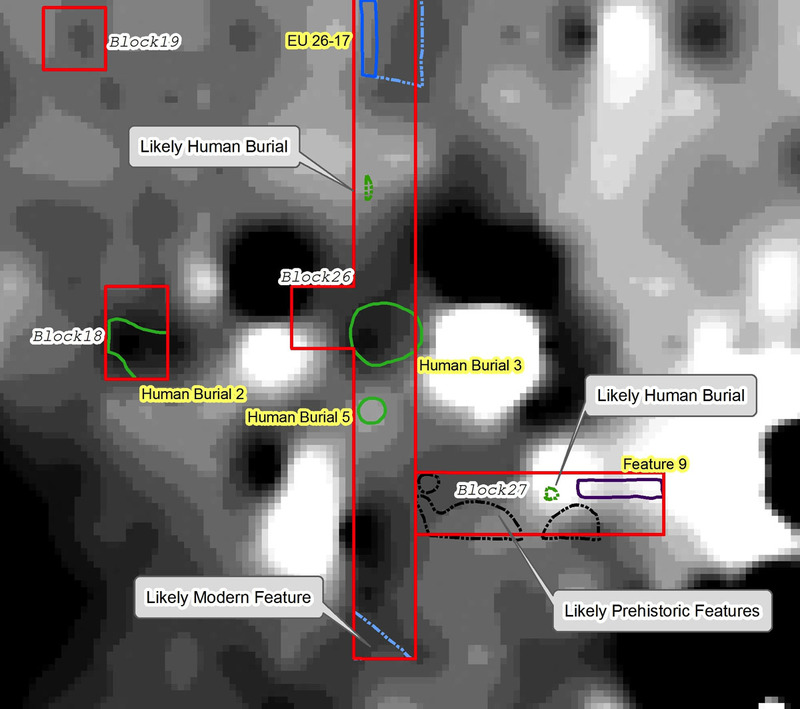 In the image above, the extent of archaeological features and excavation blocks is overlaid with magnetometer data. In the image below from the 2011 season, surface collection data, magnetometer data, and satellite imagery from the settlement area are combined using exaggerated topographic data (x10). In addition to understanding the social makeup of the cemetery at Békés Jégvermi-kert, the BAKOTA project is also interested in making more effective use of non-intrusive archaeological prospection for modeling prehistoric behaviors and guiding excavation strategy.